The CD21 antigen is a 145 kDa transmembrane glycoprotein. It belongs to the gene family of complement regulatory proteins. CD21 antigen (CR2) is the receptor for C3d and for Epstein-Barr virus (EBV). 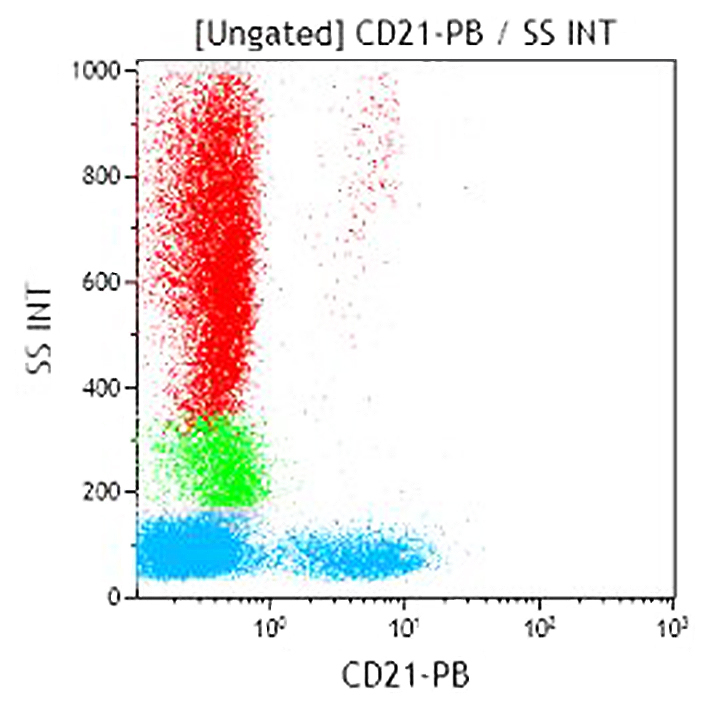 CD21 is present on mature B lymphocytes. It is absent from T lymphocytes, granulocytes and monocytes. This antigen is involved in B-lymphocyte activation and proliferation. *Alexa Fluor and Pacific Blue are registered trademarks of Molecular Probes, Inc.